Old athletes are old for many diverse reasons. But the primary one is due to their relatively slow rate of recovery following stressful workouts. Someone can be “old” at age 35 due to a poor rate of recovery. On the other hand, I’ve coached athletes in their 60s who recovered very quickly and so by this definition were still “young.” In fact, recovery is probably the key to performance at all ages, but especially so for aging athletes who appear to have the deck stacked against them. But there are also other reasons for declining performance with aging. For the purpose of this discussion let’s say that one is "old" over age 50. By this age it is usually apparent that an athlete is experiencing several life- and performance-altering physical changes: lower levels of testosterone, lost muscle mass, increased risk of osteopenia and osteoporosis (especially in cyclists and swimmers), an increased tendency for acid-base imbalance further contributing to bone and muscle loss, a greater propensity for weight gain, lost soft tissue elasticity with an increased likelihood of injury, reduced enzyme activity, less tolerance for heat, and more. It isn’t pretty. So it appears that aging athletes are fighting an uphill battle. But for most I don’t believe the issue is aging so much as it is detraining, misuse and disuse. We simply fail to adequately and appropriately change our lifestyles and training regimens as we get older. When younger one can make more mistakes in lifestyle and training without significant negative consequences for performance. As we age there is less latitude for mistakes. For example, temporarily cutting back on training only exacerbates the problems when the aging athlete once again trains seriously. When younger the same athlete may well have bounced back quickly from a break in training. So one example of a critical issue as we get older is training consistency. • Workout intensity. There are only three elements of training for a given sport that can be manipulated to produce fitness: workout duration, workout intensity and workout frequency. As we age there is a tendency to increase duration at the expense of intensity. Workouts become longer and slower as weekly volume becomes the focus of training. The aging athlete needs to do just the opposite if he or she is to perform at a high level despite the aging process. Workouts above 80% intensity factor (just below and above anaerobic/lactate threshold) with an emphasis on muscular endurance, anaerobic endurance and sprint power (see my Training Bible books for details) should be the basis of their training two or three times each week - not lots of long, slow distance This change typically results in shorter training sessions but higher weekly average intensity. Such change stimulates testosterone release and helps to maintain muscle mass. • Strength training. Lifting weights is one of the best ways the aging athlete can build bone density while also stimulating testosterone release to maintain muscle mass. The use of heavy loads with traditional strength training is what is needed to accomplish these goals. Such training should include loading the legs which requires a great deal of planning so as not to impact sport-specific training in the build period (this is not necessary for runners to maintain leg and hip bone density). An alternative for the cyclist or swimmer who prefers not to load the legs in the weight room is walking or running several miles each week. I suspect that body-weight only exercises such as squats, step ups or lunges are not as effective as lifting heavy loads or the impact loading of walking and especially running when the purpose is bone density. Such training should be done frequently and regularly but vary with the season. Research suggests that this will maintain or even improve the aging athlete’s bone and muscle health. You can rebuild bone and muscle despite how old you are. • Sleep. Younger athletes can make many mistakes in training and still perform at a high level. Aging athletes can’t. This is certainly true when it comes to recovery. As we get older adequate sleep is especially important. If you follow my suggested guidelines above, training will become more intense and serious strength training (or walking or running) adds to the accumulating physical stress. Sleep regularity, quantity and quality are necessary to allow the body to cope with this stress for it's during sleep that the body releases testosterone. Aging athletes must be very careful not to compromise sleep in order to fit more activities into their daily lives. The standard I use to determine if an athlete is getting enough sleep is this: If you have to use an alarm clock to wake up in the morning then you didn't get enough sleep. Go to bed earlier. You mention testosterone a few times in this article to support recommendations of intensity and strength training. Same reco's for women? As a 60+ recreational rider I vow to add more intensity to my program even if it requires some cut back in my mileage. Hi Joe.....did you notice the recent testing done by Miguel Indurain. Looks like at 46 he still retains pro level fitness..
Jennifer--Yes, women produce testosterone during sleep also. One study even found that they release relatively more than men. Have your fueling recommendations changed since this article? We do significant amount of work in this area and are following Bob Seebohar's recommendation of much less carbohydrate due primarily tomthe increase of cortisol. Are you familiar with him and what do you think? 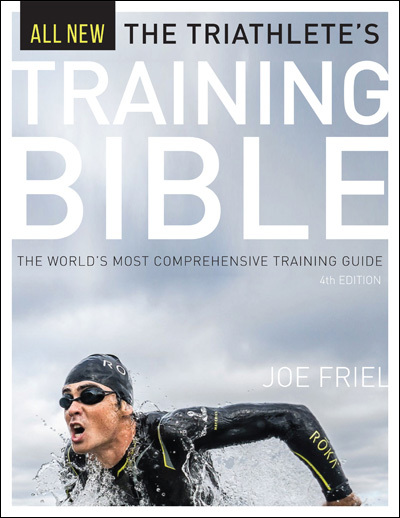 Joe - in Training Bible you say that Masters should not cut short their base period (which is all about strength & endurance). Can you please clarify in the context of your intensity points above. Thanks. Andy, that's still the case. Never shorten base period.but when it's time to train hard, make it hard instead of. Lot of LSD. Andrew, I agree with Bob on most all things nutritional. Good luck. Great article Joe. Are you advocating little or no LSD, and how many strength training sessions per week? paulgdonovan--It comes down to what we mean by LSD. I don't include aerobic threshold training in LSD and see a need to do a great deal of that in base. I would define LSD as being z1 and avoid that. Very interesting article. I've heard that triathletes do better when a bit older as their endurance improves? Not sure if its true but agrees with your concept of getting older and faster. Joe; Thanks for the article and books. I wonder if this applies to older but untrained "athletes". I am a 65 year old duathlete but have been competing for only 5 years and find endurance to be my limiter. Don--Endurance is slow to develop. Hang in there. I have a related but unrelated question. A casual observation of the information available on the internet suggests that most endurance athletes reach their prime in their 30's. Is this because it requires 10-15 years of training to peak or is it because the body reaches its most adaptable state at about 30 years old regardless of training? I have searched the internet for studies that might answer this question, but I have found nothing that suggests any endurance related adaptations have time courses on the order of 10-15 years. I have found information that suggest V02Max and anaerobic power/capacity have time courses on the order of 8-12 weeks (i.e. they peak after just 8-12 weeks of training). I also found some information that power at lactate threshold has a time course of 2-3 years. I have not found any information on the time course of neuromuscular power (e.g. CP0.2). This information leads to believe that the answer to my question is that endurance athletes peak in their 30's because their body is the most adaptable then; not because it requires 10-15 years of training to peak. Does the 10,000 hour rule (http://en.wikipedia.org/wiki/Outliers_%28book%29) not apply to endurance sports? I have read accounts of female cyclists that became professionals after only a few years in the sport. These seem to support my hypothesis. Are there similar examples of male cyclists? What are your thoughts, Joe? 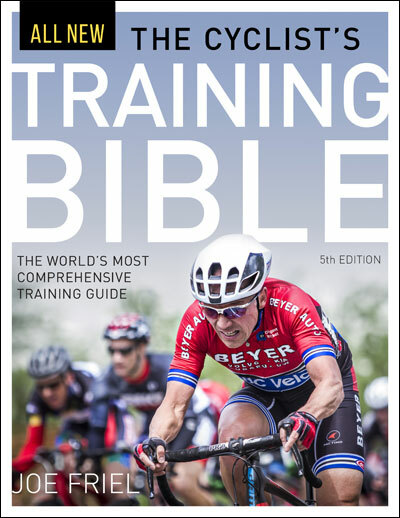 For what it's worth, this is the best source of information I have been able to find on the time course of chronic training adaptations. I misstated the time course of lactate threshold. The article states a figure of 3-4 years not 2-3. This article is old and hard to find. It's also unclear where the data was sourced from since there are no references. Mike--That's a good piece from Seilor and well worth the read. Sharp guy. my impression is that the intended audience is an older athlete that has trained and competed from a young age (<30 years), climbed to a peak, and is now wondering how fast they will fall. 3) Although I am an older athlete (42), I entered the sport only 3 years ago and I am wondering how far I have to go up not down. The more I read and the more power data I collect, the more I think I have don't have much farther to go up before I start going down. Good article related to aging athletes – thanks! Several aspects still appear to be a dichotomy, however. You recommend workouts above 80% intensity two or three times each week and also strength training. That would be (for me) four to five hard workouts per week (2-3 intense + 2 strength). I find that it takes me at least two days to recover from hard intensity workouts such as power stomps on the bike or 6-8 minute zone 4 intervals. Same goes for lower body strength training – it works, but quite a bit of recovery is needed. The end result is that I have to “block” a hard interval workout with a strength session on the same day and then do easy recovery sessions for a couple of days afterward. For reference, I’m 64, 30+ years as a cyclist and runner, and compete primarily in cyclocross, duathlons, and trail running. My hard workouts are fairly intense … I can maintain almost 98% of my max HR during a 3 mile cycling field test and about 95% during a 30 min TT @ threshold. I guess the bottom line is just to do fewer workouts but keep the intensity high? Bill--Yes, it can be difficult to fit everything and still recover. That's the last piece I hope to write on this topic (when things let up a bit--if ever!). Thanks for the information you shared through your blog. 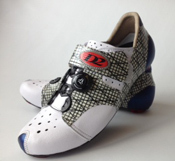 I am an aging athlete and I loved and enjoyed reading your blog because I got so many useful and helpful information. Thanks again!